Guest blogpost by Alex Withers, Withers is Chief Marketing Officer of inMotionNow, a leading provider of workflow management solutions for marketing and creative teams. Alex is a seasoned digital technology and marketing executive with more than 20 years of senior marketing experience with brands including Pepsi, ESPN, USGA, the Financial Times, and LexisNexis. 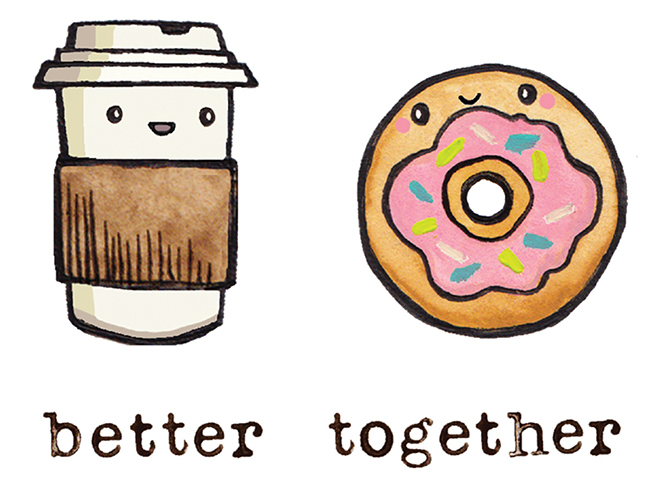 What’s coffee without donuts? What’s PB without J? 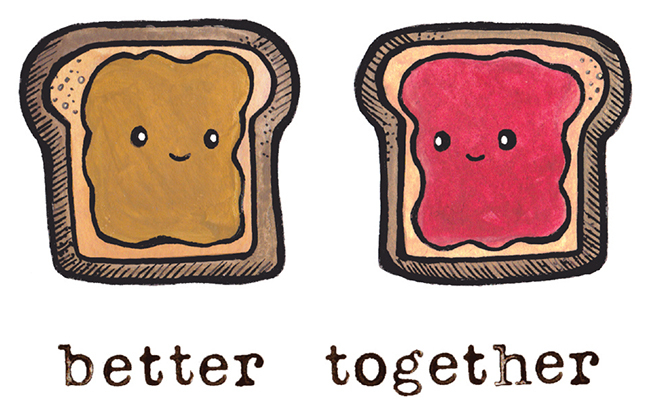 Some things are just better together. And marketing and creative used to be one of them, united by a shared passion for engaging their audience. But the demands of todays industry have put a strain on the traditionally strong partnership. 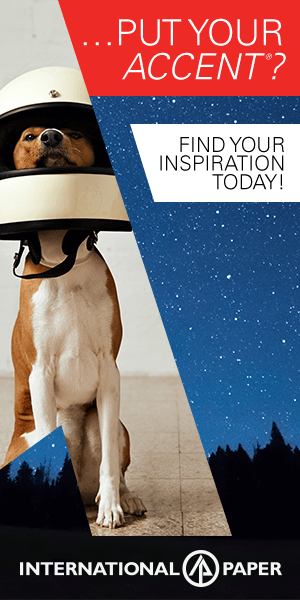 Marketing is expected to reach consumers in more channels, with more targeted campaigns – which means creative is tasked with producing enough content to fuel them. Lacking additional resources, the only way for teams to keep up is to operate more efficiently. But process challenges often make that all but impossible, further contributing to friction between marketing and creative. Like Olives, many other creative leaders report a top concern is building stronger strategic partnerships with marketing so they can accomplish more. 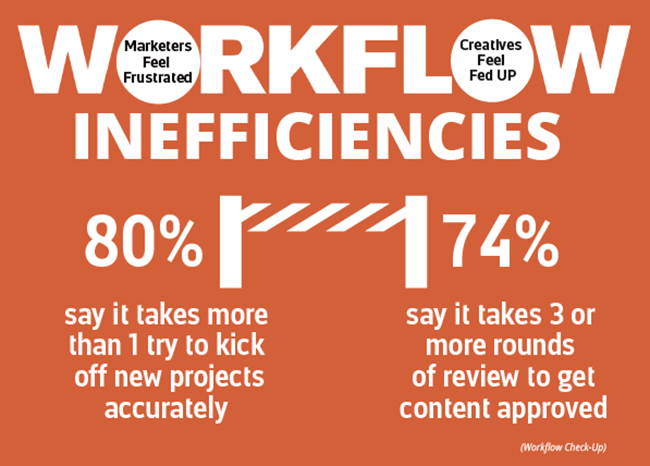 And uniting both sides with a better workflow is the answer. 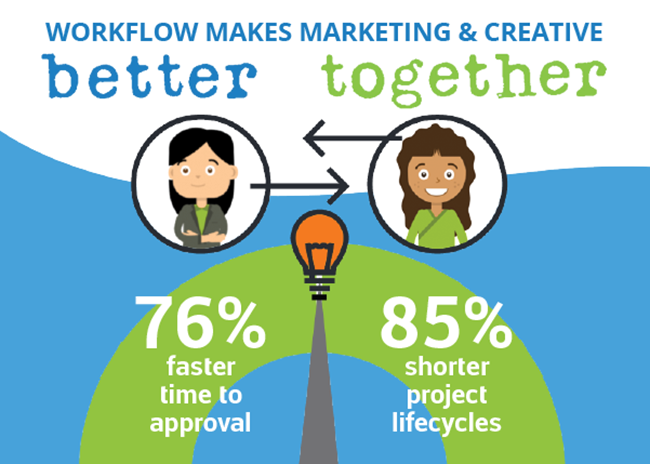 Aligning marketing and creative to a better workflow can be challenging, but adopting a flexible, easy-to-use technology solution can help by reducing headaches and frustration on both sides and providing a framework that allows teams to scale. Creative gets more bandwidth to focus on producing world-class content, which in turn gives marketing the fuel they need to deploy more successful campaigns. As a result, they’re able to stay ahead of rising demand by being better together. “A technology solution empowers creatives to do their best work. It gives them time and space to ideate, and that’s exactly why we’re working with marketing in the first place,” says Olives. 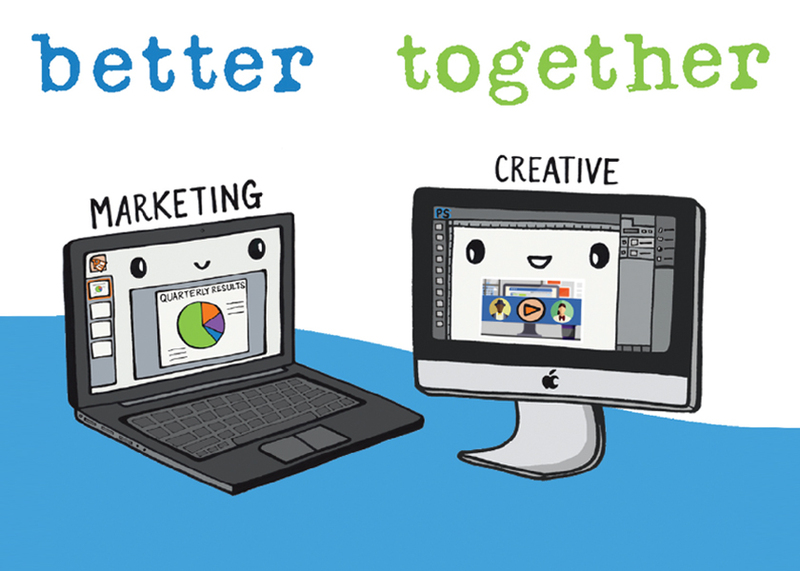 “Implementing a tool is new, its different, but you say, let’s work together, and as a result get the best creative possible.” A better workflow helps marketing and creative teams be better together.